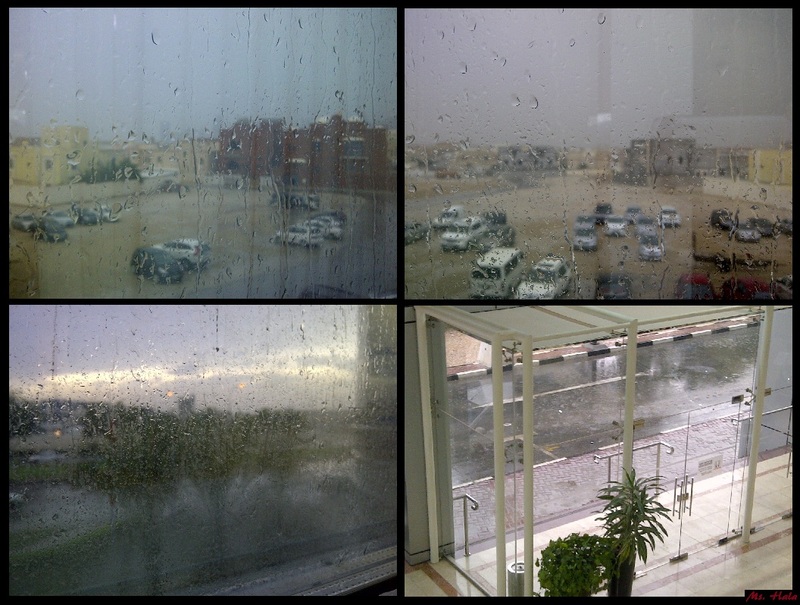 In Qatar today, it rained with a bit of amazing thunder and lightening. I couldn’t snap the lighting but took a few blurred snapshots with my humble Blackberry the massive rain and wet roads. Please drive safely, stay warm and dry.